We will not take you to a particular restaurant this week, but instead it’s the infamous Sydney’s Fish Market. You have two choices here: one is the posh oh-so-expensive restaurants outside, or the big ‘food court’ type bargain shop. Somehow, I never get enticed by the ‘fancy’-ish restaurants outside and always opt for the ones inside the big dome. We also have the same sets of restaurants to go to: Grill shop second from the left and Sashimi shop second on the right. You can also get a nice grilled eel from the third shop on the right or bargain scampi on the left hand side towards the end of the building. 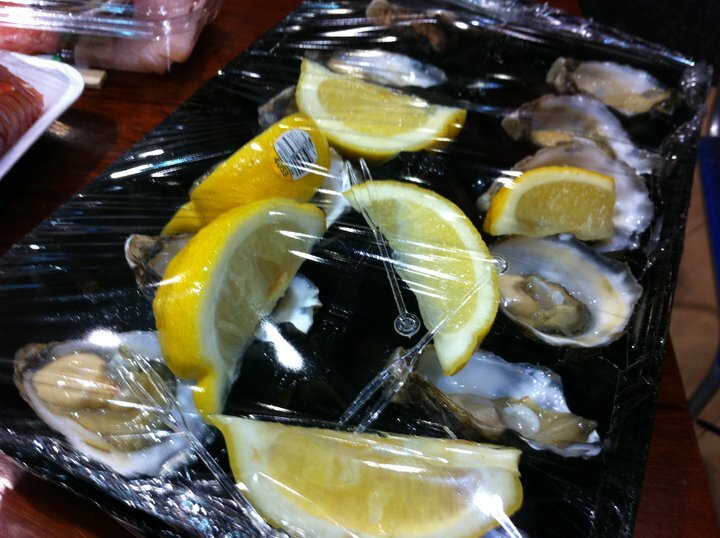 In the grill shop, there are a variety of platters for two, including the one with Lobster or the cold cuts. 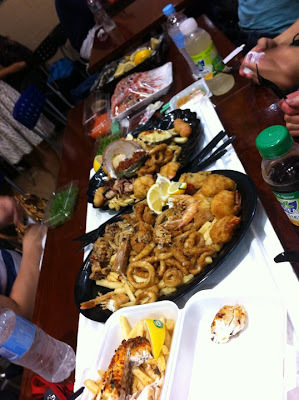 This time, we ordered Seafood Platter and Fried Platter for Two. For the seafood platter we got, grilled octopus, 2 scallops, Killpatrick and Mornay Oysters, Deep fried prawns, fish, and calamari on a bed of chips (or you can also get rice). The fried one consisted of Soft-shelled crab, king prawns, octopus, calamari and fish. 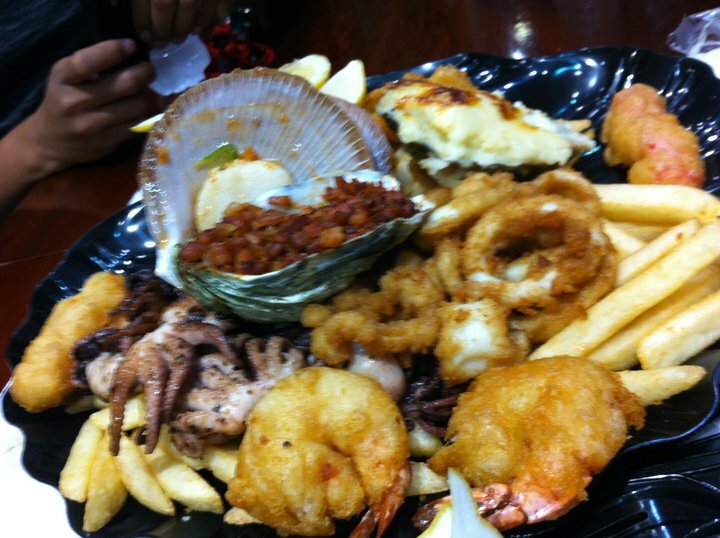 This is what I called the staple food to actually fill up the tummy. 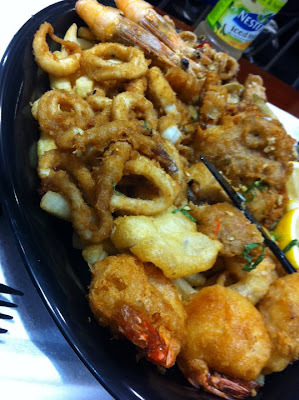 Don’t get me wrong, they’re still really good and, like I said, you can also get an optional lobster. 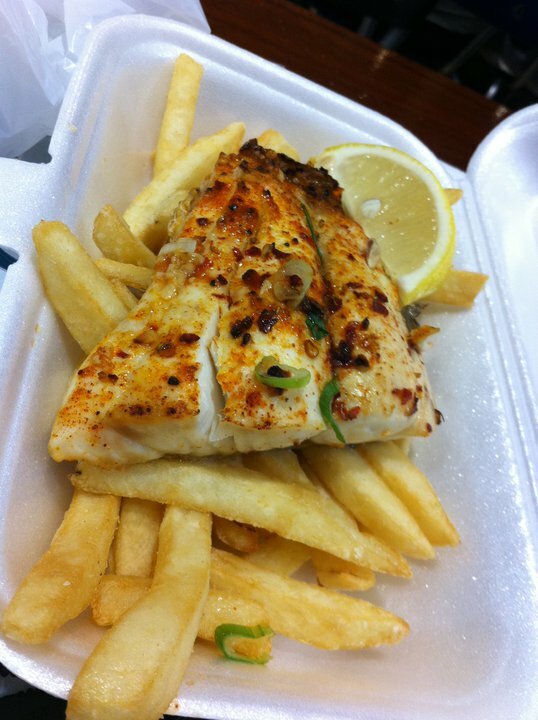 From the same restaurant, you can also get all kinds of Grilled fish they have. This time we tried Grilled Salmon. If you really want a grilled fresh Salmon that are still light pink on the inside, this will be the one for you. The Sashimi stores only have three most common Sashimi: Tuna, Salmon, and Kingfish. 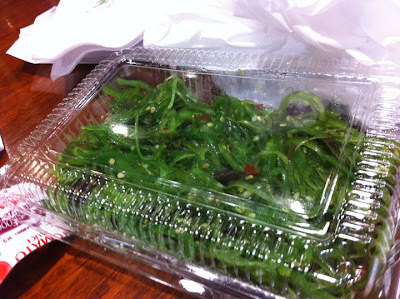 They also have an assortment of Fresh Oysters, Sea Urchin, and Seaweed. No matter which shops you go to, that are the only selection you’d get. All of them are equally nice and fresh, but the difference is only in the price, so I reckon you should shop around to see which shop offers the best price for the day. 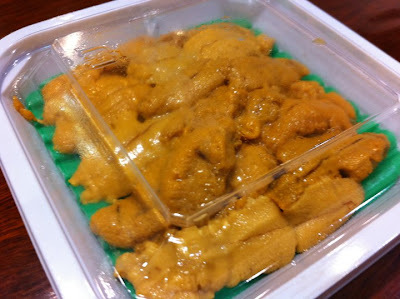 One of the rare products sold in fish market is the Scampi. 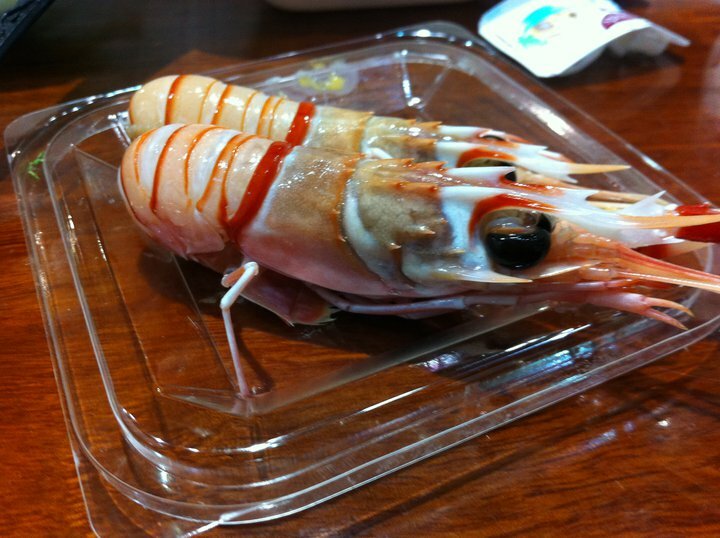 Technically, they are still crustacean and are actually more related to lobster than prawn. 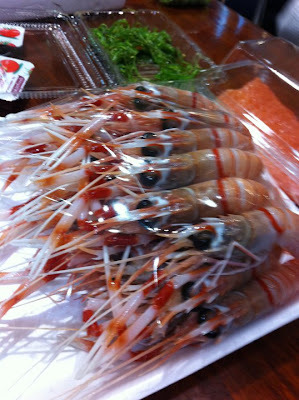 Size-wise, they are more of a shrimp, but they have a distinct sweet taste. One piece of Scampi Sushi is usually sold at a price of $4.5, but in this place you get 25 scampi for $15… It’s a really good bargain! I must admit that you must de-shell the Scampi yourself which is a bit of a challenge if you don’t have any scissors handy. There’s a seemingly good Yum Cha Restaurant on its second floor. I’ve been recommended to try but can’t seem to get past the irresistible first floor’s choices.